Home AEEE - Amrita University How to crack AEEE – Amrita Engineering Entrance Exam 2019? 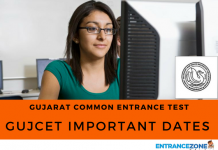 How to crack AEEE: Amrita Entrance Examination Engineering takes place for selection in various branches of Amrita University. Amrita University has currently emerged as the best private university in India. Many aspirants appear for AEEE, which is the basis for selection in Amrita University Campus of Amritapuri, Coimbatore, and Bengaluru. Candidates have to be through basics and give more attention to Mathematics in order to crack AEEE. 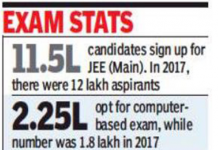 Candidates can see the article below for tips and tricks to crack AEEE. How to crack AEEE 2019 Exam? Necessary Tips and books for cracking the AEEE Exam are given below. Candidates aspiring for JEE Main and Advanced will find the AEEE Entrance Examination relatively easy. They should properly understand the concepts taught in NCERT’s. AEEE put more emphasis on fundamental concepts and the questions asked are a short and direct implementation of some concept. More weightage is to Mathematics in AEEE. Thus candidates should prepare accordingly. They should practice all the questions from the NCERT book. Candidate can also refer to RD Sharma for reference. Aspirants will have to solve 100 questions in 150 minutes (2.5 hours) and thus need speed and accuracy. They should solve various mock test papers and last year’s question papers. Candidates should be aware of the distribution of marks along various topics and read accordingly. 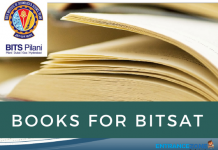 Co-ordinate Geometry and Trigonometry are some of the key concepts which have been extensive in the last year’s examination and thus should get more emphasis. Candidate should follow a comprehensive timetable and divide the available time appropriately so that they can finish the portion in time and have more time for revision. Revision is a key concept in cracking AEEE. Candidates will have to cover a lot of syllabus, thus it is essential to have proper time allocated for revision. Candidates should judge their potential and write the exam accordingly. Attempting too many questions might result in extensive negative marking which must be avoidable. The candidates should practice this while solving the mock papers. Candidates should make sure to read all the NCERT books of class 11 and 12 properly. Students can check AEEE 2019 Syllabus details here. Candidate should prepare for exams apart from AEEE exam as well. The syllabus is almost the same for examination like JEE Main, BITSAT, etc. Candidate should join a coaching centre. It’s much more efficient to have a mentor who can clear the doubts. Classroom studies are efficient as students can also improvise based on doubts of other students. Health should get the priority during the preparation phase. Candidates need to be physically and mentally fit to read for 10-12 hours a day. Candidate should take nutritious diet and proper sleep. Candidates should try to adapt themselves to the examination conditions and read for almost 3 hours without any breaks. This improves the efficiency of the candidate and helps them to be active for a longer time. Candidates should also practice the technique to eliminate wrong answers to reach the right one. Sometimes it can be handy when the candidate is not sure about some question. Questions asked in AEEE are a direct implementation of the basic concepts and are not difficult. Candidate should properly understand all the concepts and practice a lot of questions and will be successfully able to crack AEEE. aeee full form, aeee colleges, aeee exam fees. What books to be considered while preparing?